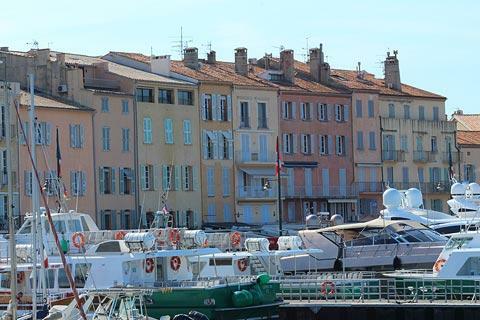 Saint-Tropez started life as a sleepy fishing village - and then the superb quality of light here was discovered by neo-impressionist artist Paul Signac who built a house here and invited his friends to stay, with Matisse and Dufy being among those who accepted his invitation. 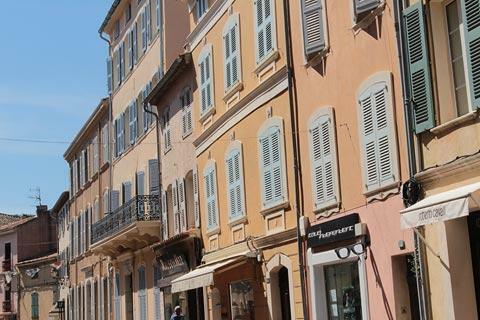 Word of the wonderful location around Saint-Tropez quickly spread and in the 1930s Cocteau, Colette and others arrived on the scene then in the 1950s and 1960s Saint-Tropez was discovered by Hollywood and has been a fashionable holiday location ever since. 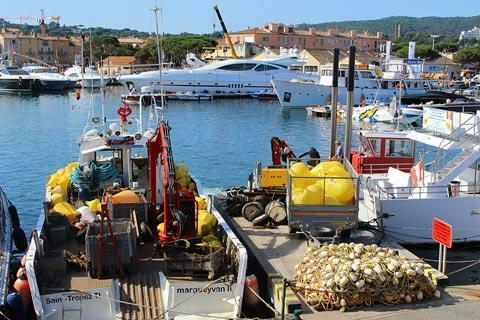 When you arrive in Saint-Tropez you will be pleased to find that you can still see many aspects of the sleepy fishing village that Saint-Tropez once was, although there is also quite a lot of newer development and rather more people here now! 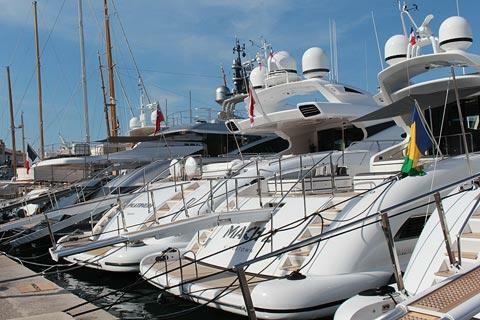 Start your visit with a walk along the harbour where you can see the fishermen's houses on one side and the large, expensive yachts on the other. 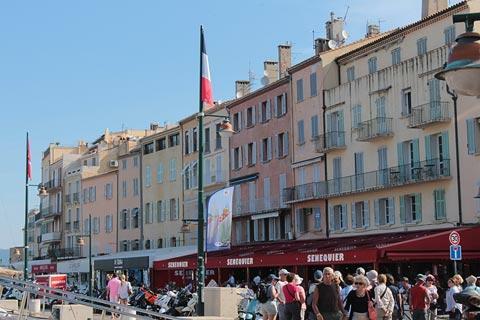 Many of the waterfront houses are now restaurants - there are at least 20 restaurants around the port. 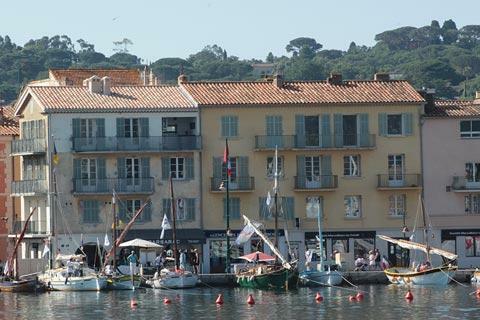 The view of this part of the harbour is much better at sunset when the sun is on the houses than in the morning when they are in the shade. 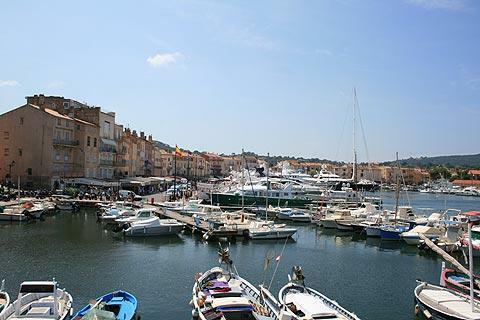 From here you can walk along the ‘Mole Jean Reveille’, a quay that allows you to look back and get splendid views of Saint-Tropez harbour. 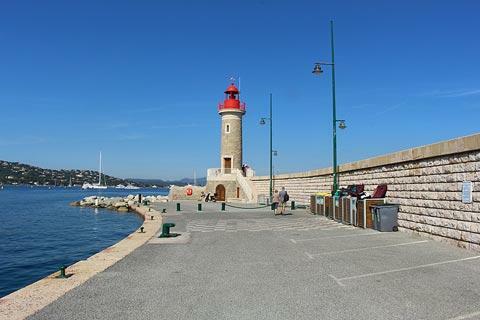 As you approach the lighthouse at the end of the quay you will notice that the superyachts in the main harbour have here given way to modest fishing boats: it is nice that the two different worlds can exist side by side! 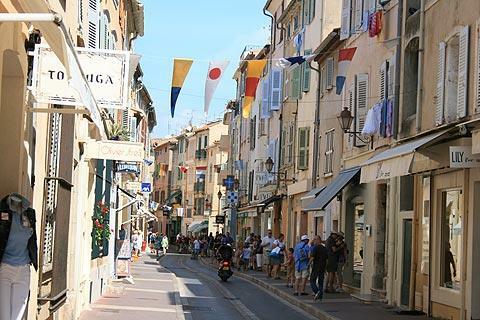 After walking around the harbour you can wander into the old town where the streets of colourful houses have a unique charm. 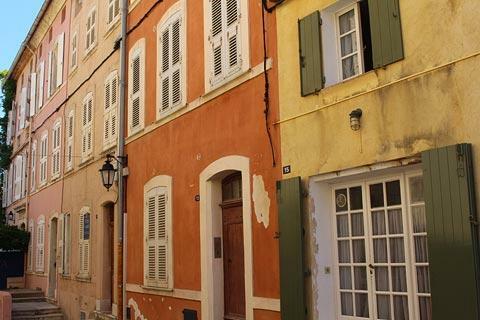 These streets lead back from the coast and towards the citadel, with the houses in the simple style of fisherman’s houses and painted in pale pastels ranging from pale cream to deep terracotta. 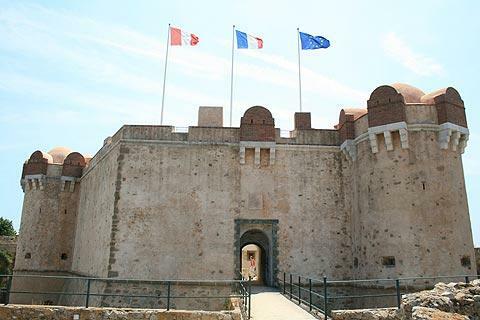 From the old town you can walk up to the citadel - no matter how hot it is and if you'd rather stay on the beach you have to do it! 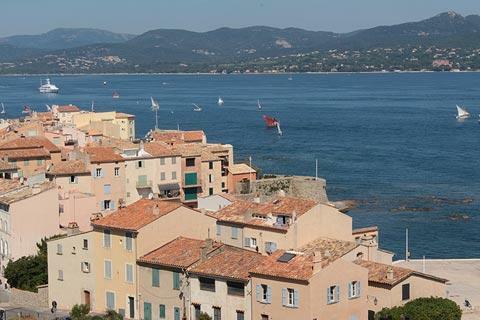 The views across the Mediterranean and Saint-Tropez town from up here are superb. 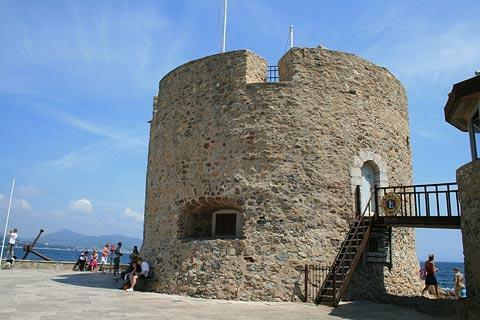 The Citadel was built in the 16th century during the Religious Wars. It costs a couple of euros to enter but is worth it - more for the 360° views than the citadel itself, though this is an attractive castle quite ‘moorish in style‘. If you prefer not to enter you can follow the path around the outside of the citadel. 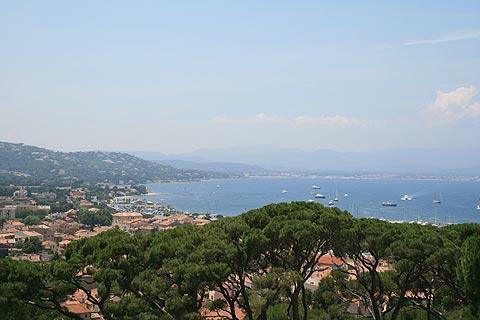 From behind the citadel you can see a small bay with a beach and a few houses: it is remarkable that this quiet bay is less than 500 metres from Saint-Tropez town centre! 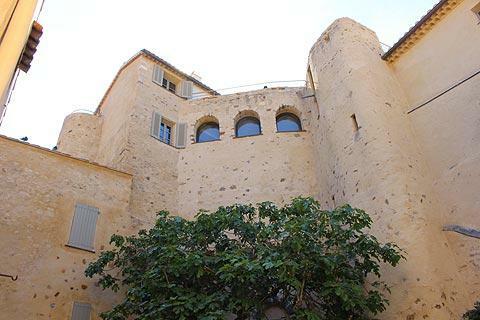 On the Place Garezzo you can see the Chateau Suffren, built in the late 15th Century. 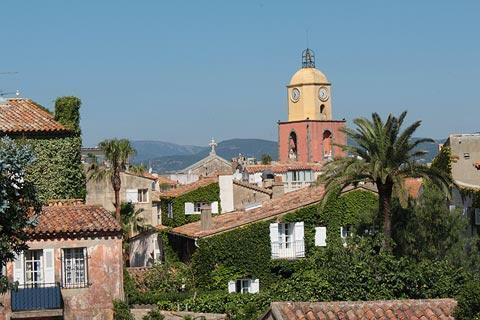 Other sights of interest in Saint-Tropez include the Port du Revelen, the Tour Jarlier, the eglise Notre Dame de l’Assomption with its pretty, and much photographed, bell tower and the 17th century Chapelle de la Misericorde. 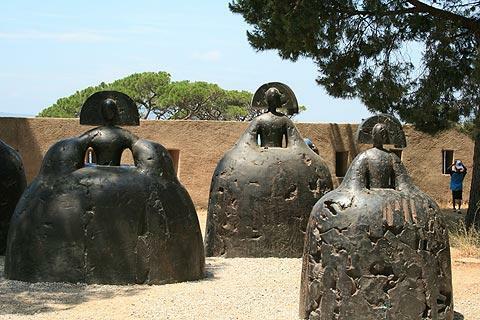 The Musee de l’Annonciade, back on the port and quite near the tourist office of Saint-Tropez, was originally a chapel and is now a permanent art gallery with works by Matisse and Signac and many of the other artists who worked here. 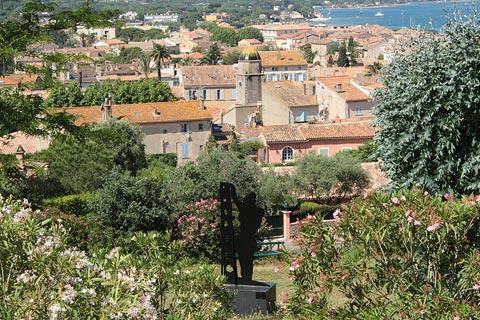 This is one of the best galleries in France to see paintings from the neo-Impressionist era. 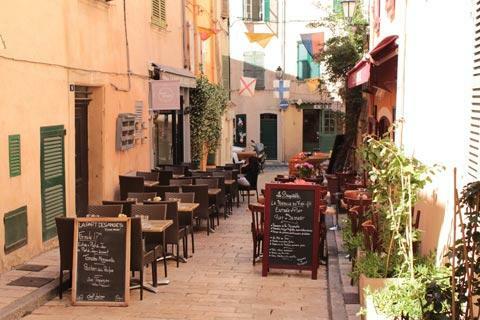 On Tuesdays and Saturdays head to Place des Lices and enjoy the market. 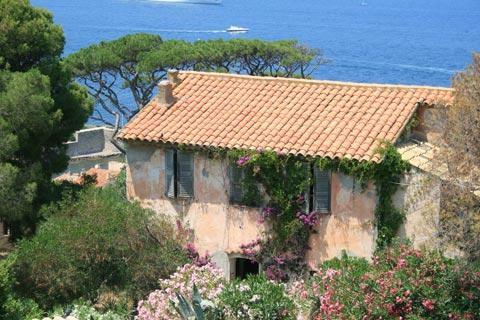 There is a wide choice of beaches close to Saint-Tropez, although finding a quiet corner to yourself might be a challenge! 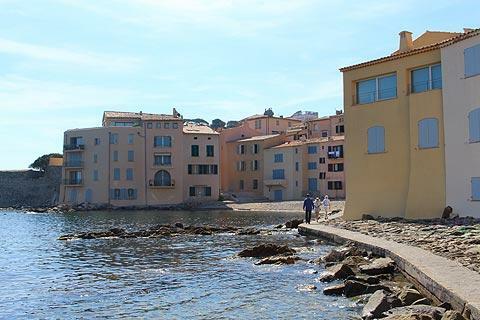 There are several very small beaches close to the town centre in Saint-Tropez, and slightly larger beaches not too far including the Plage des Salins and the Plage de la Moutte to the west and the Plage des Canoubiers on the north coast. 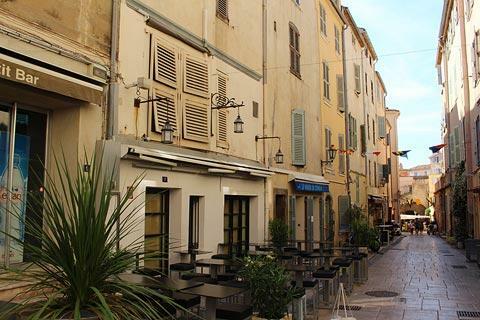 The most famous of the beaches close to Saint-Tropez is the long sandy Baie de Pampelonne to the south of the town centre. Along the edge of the beach are beach-side boutiques, cafes and clubs including Club 55 where visiting celebrities may head for a dance and a drink in the evening. Out to sea there are always yachts bobbing in the bay. Further away and less crowded are the Plage de l’Escalet and, near La Croix Valmer, the Plage Gigaro. 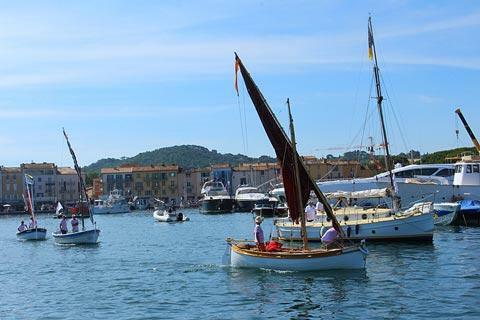 Among the places we recommend are a trip to see the village of Grimaud and its associated 'port village' of Port Grimaud; and the villages a few kilometres south of Saint-Tropez of Gassin and Ramatuelle.